Close on the hels of Golden Jubilee celebrations of the Submarine Arm came a report on in-principle approval of the Central Government for clearance of the acquisition of 676 hectares of forest land in Rambilli off Visakhapatnam, Andhra Pradesh for the classified Nuclear Submarine Base on the eastern seaboard was received with a big cheer. This proposal had been languishing for the past seven years, or more. The ambitious Nuclear Submarine Base, code-named Project Varsha has been conceived and planned as a strategic asset of the nation, to be a stealthy base for the emerging prowess of the third leg of the Nuclear Triad. The Base is designed to contain whole gambit of maintenance, support infrastructure, technical area and the command and control centre, way beyond the range and reach of the hostile satellites to snoop. Phase I of Project Varsha which is designated as the Naval Alternate Operating Base is already on stream and progressing very well. The approval-in principle for Phase II is a real shot in the arm and will now propel the project to start expanding vital facilities to safely house recharge stations and technical support areas for future nuclear-powered strategic assets to break out at the time of own choosing under favourable conditions. Reportedly, the approvals are in place for the project to establish a new missile testing range in the Andaman Islands and a few more strategic facilities to be dispersed in Madhya Pradesh. In the past there were serious impediments and inordinate delays in acquiring land for critical needs to store, service and manufacture equipment for nuclear assets like missiles, warheads, etc. Project Varsha is a strategic joint venture between Defence Research & Development Organisation (DRDO) and the Indian Navy. The forest area for which clearance has been awarded recently is ideal to provide camouflage and concealment to this vital and strategic facility. The area is located at Varahat and Sarada River front which provides a safe entry into the Bay of Bengal to launch nuclear submarines on operational missions. Over the past 50 years Eastern Naval Command has witnessed phenomenal growth such that its present location has saturated to the extent that additional infrastructure and facilities are now not possible at Visakhapatnam. Hence, the futuristic projects of the Command have to be dispersed to village Rambilli which is 50 km south of Visakhapatnam. The new naval base has been designated as the Naval Advanced Operating Base (NAOB) which is designed to construct underground submarine pens to house the expanding fleet of nuclear submarines and to protect them from snooping by satellites and air strikes. It is estimated that with the clearance for land acquisitions, the development work on the classified base will receive significant boost and gather momentum in a big way for the construction of tunnels, jetties, depots, workshops and accommodation. The recent clearance for land acquisitions is expected to pave way for a sprawling and futuristic base to be spread over 20 sq km. Also, just 20 km away at Atchutapuram, the Bhabha Atomic Research Centre (BARC) is constructing a research and development complex that will support the submarine base. About 845 hectares have already been handed to BARC for the new facility. With the commissioning of INS Arihant, India has already acquired the membership of the elite club of six comprising the US, Russia, the UK, France and China to indigenously build a Submersible Ship Ballistic Missile Nuclear (SSBN). INS Arihant can carry twelve Sagarika (K-15) Submarine Launched Ballistic Missiles (SLBMs) that have a range of 700 km. 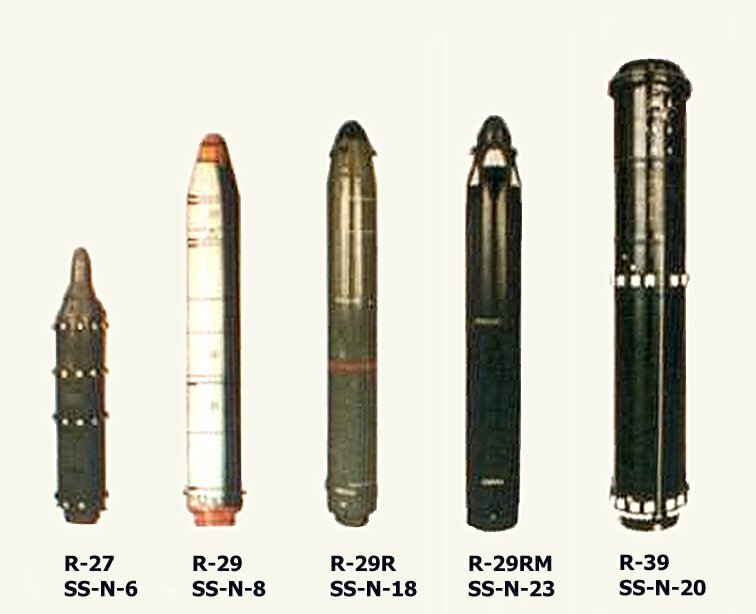 In addition to the proven K-15, DRDO is also developing a longer-range SLBM, designated as K-4, which the future SSBNs will also carry. INS Arihant is only equipped to handle four of the larger K-4s, as Arihant has four launch tubes but three K-15s can fit in each launch tube. 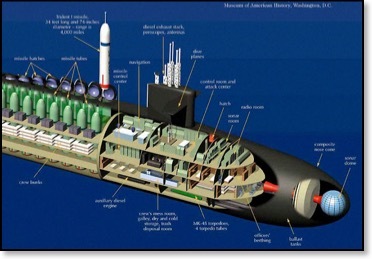 The submarine can also carry torpedoes and Submarine Launched Cruise Missiles (SLCMs). INS Arihant was built primarily as a training platform to indoctrinate the selected crew to master the art of operating and operationally exploit the SSBN optimally under all conditions. Government has approved construction of four follow-on SSBN of Arihant class. It is learnt that second SSBN design will be an upgraded version of Arihant and will pack greater firepower than the first SSBN of line. Reportedly, the second SSBN is likely to be fitted out with eight vertical launch tubes, allowing it to carry twenty-four K-15 missiles or eight K-4 missiles. In addition, the new boats will have a reactor more powerful than the INS Arihant’s 83 MW pressurised light-water reactor. The new reactor will use uranium as fuel and light water as a coolant and moderator, which will allow it to operate stealthily and will have submerged endurance of about two months. The new SSBN will be able to clock submerged speed of 24 knots. Reportedly the Indian Navy will have five SSBNs in its arsenal that will be capable of launching missiles to a target range of over 5,000 km, eventually. The Arihant class of SSBNs are critical for the secondstrike option in case India comes under a nuclear attack. The first of its class, INS Arihant, is already operational, while its successor, the Arighat, is being outfitted at Visakhapatnam. 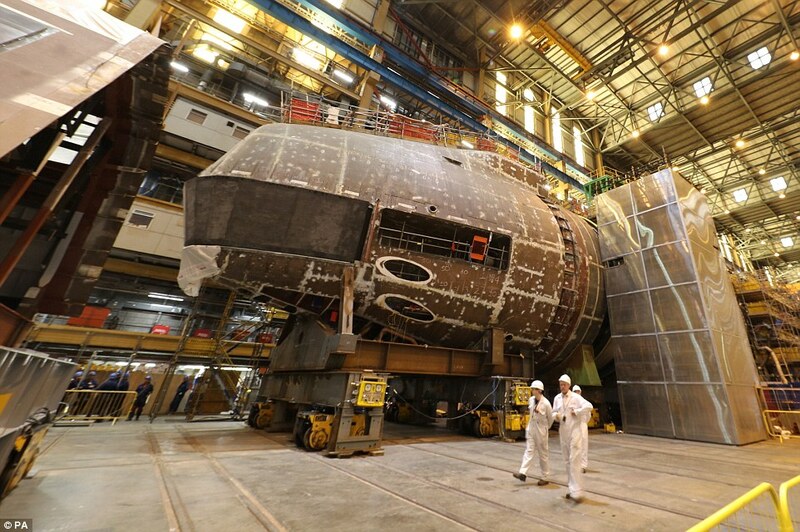 The second SSBN Arighat which was earlier speculated to be named as Aridhaman is being readied for eventual induction. The submarine has been launched into water and has now entered the crucial phase of outfitting. The submarine was launched by Defence Minister, Nirmala Sitharaman last year which was kept under a wrap to keep away from hostile gaze. It is an open secret that the first of line has a far longer gestation period than its follow-on. Thus Arihant which was launched in the summer of 2009 was commissioned as INS Arihant under a quiet ceremony by Chief of the Naval Staff during August 2016. Having learnt the right lessons and after gaining vital experience, Indian Navy is now aiming at an ambitious target of two years to commission Arighat. During February 2015 construction of six Submersible Ship Nuclear (SSN) to bridge the gap of force level of 28 conventional submarines as per original perspective plan for building and modernisation of the Submarine Arm, was approved by the Government. The mammoth plan, expected to cost over $12 billion, is for six modern SSNs to be made in India. It is learnt that the design work which is a derivative of Arihant class has already started and the ambitious project for a new class of submarines is expected to fructify within 15 years. An ambitious and strategically crucial Project Varsha has all the ingredients to be classified as a valuable and worthy counterpart of the futuristic naval base established at Karwar under ‘Project Seabird’ in coastal Karnataka to give India’s maritime forces both strategic depth and operational flexibility on the western seaboard against Pakistan. Phase I of Karwar naval base is complete and part sanction of Phase II is also in place While Karwar will eventually decongest an already over-crowded Mumbai harbour, Project Varsha too holds the identical promise for the Eastern Naval Command on the eastern seaboard. Total credit is due to the vision and farsightedness of the naval planners for conceiving and planning ambitious Project Varsha to house; Forwarding Operating Base and Operational Turn-around bases on the eastern seaboard for growing force levels of Eastern Naval Command. The Base promises to emerge as a state of the art, latest technology enabled infrastructure, support and maintenance facilities, technical area for preparation of weapons, missiles, etc. This is indeed a forward looking initiative as in the future newer warships, aircraft carrier, aircraft, drones, support auxiliaries, etc. will require wide berths for housing, launching and operating. Project Varsha will have all the ingredients, albeit at smaller scale to match China’s massive underground nuclear submarine base at Yalong on the southernmost tip of Hainan Island, which houses its new Shang-class SSNs and the Jin-class SSBNs. The growing prowess of the third leg of India’s nuclear triad may be slow to take-off and emerge as a potent force, yet it already has all essentials to employ deterrence in the region. It is this realisation which will compress the build and induction cycle of Arighat, the second SSBN and the follow-on programme. Likewise, construction of six SSNs will also be energised to ensure that the project comes on stream with quite efficiency. Wonder if Marcon's visit will bring in some French Tech for the SSN program. There were reports that the IN is very interested in the French submarine reactors. Whether the French share the tech is the question. Will wrote: Wonder if Marcon's visit will bring in some French Tech for the SSN program. There were reports that the IN is very interested in the French submarine reactors. Whether the French share the tech is the question. But Shiv is right: nothing will happen. The Admiral had to justify the trip. On his recent visit to France, India’s chief of naval staff, Admiral Sunil Lanba, was given a detailed presentation by his French hosts on the Barracuda-class, its latest nuclear-powered attack submarine (SSN), the first of which is expected to be commissioned next year into the French navy. The gas charge to push out the missile from the launch tube (LT) is good enough for non-strategic missiles as ocean currents could tilt the missile off vertical axis. Indian ocean has strong under currents as any good book on oceanography tells you. The ocean current problem could overwhelm this solution of the half stage that ignites above water. Especially with slender (long L/D) telephone pole style missiles like the K15. I like the ahead pull up nose motor as this powers the missile underwater and overcomes currents. Its more complex in ignition process but worth it. the K4 has 1 and 2 from the fuzzy video we saw. the nose thing 2 going by the huge plume of white smoke is a solid fuel tractor stage not just a gas generator...the gas generator would be 1 at bottom of the missile. the mighty SS18 has a discarded gas generator thats blown to the side...the size of a 1bhk house in itself...k4 would have it also. seems like a bubble creating ring around the nose also...perhaps it generates lift under the water, reduces drag and keeps it stable? the entire body seems coated with bubbles. Not just the balance part, the gas generator nozzle at the nose tip creates a curtain of air bubbles that envelop the SLBM as it travels through the water. This immensely reduces the resistance that such a large missile will face when traveling. It also prevents water ingress into the engine exhaust. The Air bubble curtain is similar to what is seen on the Shkval supercavitating torpedos. That torpedo won't be able to travel at ~200Knots unless it is in a gas bubble. Similar concept. Otherwise the power needed to push a ~30-50ton beast of a missile from ~50m underwater to exit the water clearly and ascend to a height of about 10-20 m would be immense. The gas generator will have to be massive, the Sub will be totally shocked out of its life to withstand any such ejection. the fluid transition of the M51 from popup to 1st stage ignition is very pleasing to watch. - filament wound stage casing - current gen football shoes are made like this of "tapes"
Thanks very insightful video if you know what's being shown. They gave the milestones dates when they were achieved. First and second were pad launches in 2006 and 2007, and then underwater tank launch in 2007. To final development flight from submarine. They show the rocket motor being tape wound. Then the aluminum metal inter-stage based on yellow zinc chromate paint on the inside. Also note the pockets machined to provide stiffness. Also note the white foam lining. This shows they use fire in the hole separation : i.e. light up the ahead stage and the separation at same time. The white foam is to provide momentary thermal insulation from the SS stage motor transient. The bubble provides smooth UWL. Looks like M51 has both the bubble generator and an aft steam pulse from a gas generator in the submarine tube. Then the aero-spike deploys very quickly in first stage. ramana wrote: They show the rocket motor being tape wound. This is exactly how the third stage of PSLV and the second stage of Agni5 are currently made. The next step is to build Agni5 and Agni6 first stage in this fashion. If reports are to be believed, they have already succeeded in making the first stage of Agni4 in this fashion. And that is why, I think it is a BIG deal. Is INS Arihant an all-electric drive of mechanical drive ? Will the other ships be all-electric drive of mechanical drive ? Does all-electric drive submarines have electric cells ? I believe that some phoren nuclear submarines also have a diesel generating set(s) for emergency, for power generation and propulsion ? Does INS Arihant also have a diesel generating set(s) for emergency, for power generation and propulsion ? Any idea about the makes of the turbined, electric motors and diesel geneartion sets on INS Arihant ? Kesri, you're again asking these kind of questions looking for potentially non-public information. Haven't seen you make any worthwhile contribution to the discussion, so what gives you the right to demand this. If the information is public then you can Google it. Or it is not public, in which case your aims are suspect. Usually SSBN have triple drives. Diesel gen sets that charge electric batteries to get in an out of harbor. Arihant is powered by a 83 Mwth pressurised water (PWR) nuclear reactor. You can see the land prototype (installed in Kalpakkam, should be identical) here. This generates heat/steam which drives steam turbines. The steam turbine is typically harnessed to generate electrical power (for the submarine for so called 'hotel loads'), and for propulsion. Electrical power is needed for a number of reasons such as air conditioning/oxygen/carbon dioxide, fresh water generation, lighting, heating, electrical items, running galley refrigerator, pumps, instruments, etc collectively often called 'hotel load'. Open source tells us BARC designed the reactor with Russian consulting advice, heavy engineering corp ranchi made the reactor vessel, steam generator by bhel, pressure valves by audco, chennai. Tata Power SED did the controls. The steam turbine parts were made by Walchandnagar Industries. Steam turbine is speculated to be of order of 15-20 Mw. It will drive the propulsion either through gearbox or through generator+electric motor. Secondary power is typically designed in (eg when the reactor is shut down for safety "scram", or when it is at very low power ) and these will typically be powered by weak diesel engines . Auxiliary electrical storage is also usually fairly weak. It may be charged by nuclear or by diesel. ie In electric drive propulsion, the primary power is used only to generate electricity and this current is used to drive electric motors (in a pod, duct etc) for propulsion (via propellor,duct etc). This is rare in naval vessels(zumwalt class, type 45 class etc and likely the forthcoming chinese 002 class carriers are/will be electric powered, despite being non nuclear). Details of make of secondary diesel and auxiliary electrical storage for arhiant is not known publicly as is gearbox etc. Arihant is fittedwith a combination of two sonar systems – Ushus and Panchendriya. Ushus is state-of-the-art sonar meant for Kilo Class submarines. Panchendriya is a unified submarine sonar and tactical control system, which includes all types of sonar (passive, surveillance, ranging, intercept and active). It also features an underwater communications system. Where do they get fresh water to generate steam? Desalination of sea water? Usually in a reactor the steam after driving turbines is condensed into water and reused. Sea water being colder is used in the heat exchanger to take away the heat and condense the water. I dont think sea water is desalinated for use in a reactor circuit. barath_s wrote: Arihant is fittedwith a combination of two sonar systems – Ushus and Panchendriya. Ushus is state-of-the-art sonar meant for Kilo Class submarines. Panchendriya is a unified submarine sonar and tactical control system, which includes all types of sonar (passive, surveillance, ranging, intercept and active). It also features an underwater communications system. Panchendriya was developed for old Kalvari and Vela class submarines (Foxtrots) and the first submarine sonar. It is obsolete, decommissioned and not there in Arihant or any newer class. It was the first indigenously developed integrated submarine sonar and tactical fire control system designed for Foxtrot class of submarines. The sonar consists of passive surveillance, passive ranging, intercept, active and underwater communication system. USHUS is a submarine sonar suite designed for the EKM class of submarines. This is a compendium of multiple sensors for passive detection which collates different characteristics of the same target and provides target data through information fusion. The constituent sonars in the suite include passive sonar, active sonar, intercept sonar, obstacle avoidance sonar and underwater telephony. USHUS-2 is an Integrated Submarine Sonar System which physically and functionally replaces the MGK-400 and MGK-519 Sonars on four EKM class of submarines. USHUS-2 is a state of art upgrade of NPOL designed sonar USHUS in terms of the technology and sonar capabilities. USHUS is operational onboard five of the nine frontline EKM submarines of Indian Navy. USHUS-2 is a world class sonar suite, tailored for the remaining four EKM class of submarines. USHUS-2 sonar suite includes Passive Sonar, Active Sonar, Intercept Sonar, Obstacle Avoidance Sonar and Underwater Telephony. The USHUS-2 Sonar Suite has been designed and developed by NPOL and productionised by M/s. Bharat Electronics. USHUS-2 is currently in installation phase in IN designated platforms. Payal is a Submarine Sonar System for submarines, comprising of a Passive, Active, Intercept and Underwater Communication System. The original version was a hardware intensive system which was later upgraded with a new compact processing system based on current technology, processing power and new algorithms bringing in better performance, reliability and maintainability. arvin wrote: Usually in a reactor the steam after driving turbines is condensed into water and reused. Sea water being colder is used in the heat exchanger to take away the heat and condense the water. I dont think sea water is desalinated for use in a reactor circuit. Desalination plant or evaporator saves space, weight. The reactor anyway provides power. Payal Sonar has a very small blurb on the DRDO website and a tiny picture to go along with it. Click on the link below, lots of nice info. "Payal is a Submarine Sonar System for submarines, comprising of a Passive, Active, Intercept and Underwater Communication System. The original version was a hardware intensive system which was later upgraded with a new compact processing system based on current technology, processing power and new algorithms bringing in better performance, reliability and maintainability." Rakesh wrote: Payal Sonar has a very small blurb on the DRDO website and a tiny picture to go along with it. Click on the link below, lots of nice info. it is much bigger than set on kilo which occupies roof of the torpedo tube area. it looks bigger than the spherical bow sonar of the american subs due to its drum shape ... may be same size. the TT room will need to be behind this and use angled tubes. Singha, so finally you get your dream of a proper full biryani being made as versus fat free gluten free, 100% vegan "light" rice preparation. The range sonars developed is very commendable.We now need to deal with LR long-endurance torpedoes which have a range outside that of the ship/sub's sonar.The 50KM+ range of the latest French torpedo and others requires a hard-kill solution for anti-torpedo warfare. Singha wrote: it is much bigger than set on kilo which occupies roof of the torpedo tube area. So they cant put it on existing subs? No space due to torpedo tubes on top front in diesel subs. In nuclear subs tubes are launched from 'sides'. US SSBNs/ SSNs have their torpedo rooms amidships aft of the sail and command centre.Most Russian N-subs have their torpedo room forward in a conventional layout but recent designs have adopted the amidships location with spherical sonars.Let's see what the latest Husky class expected to arrive around the middle of the next decade which will be smaller than the Yasen class ,features. i wish to confirm two points. is the forward spherical(american) or cylinder(astute?) sonar backed by a watertight pressure hull while the front of sonar is covered by a sound transparent composite radome only that is rubberised and painted black to match the hull? and it is flooded with sea water and maintained at the same pressure as outside so that even a soft radome will not collapse at depth? these pics have brought me to this "theory" of mine of the big sonar operating from inside a flooded chamber kept at equalized pressure to outside. sonar aint gonna work in a air cavity unlike a a radar. Singha wrote: i wish to confirm two points.